I had the great good fortune to bump into Dianna Gibson during my recent speaking engagement in Tacoma, Washington. Iâ€™m a fan (and customer) of the company she and husband Bob began back in 1978 in Port Townsend, B&D Lilies. Letâ€™s keep this short: Lilies (and Iâ€™m talking true lilies, genus Lilium) are essential in the landscape, easy to grow and care for, long-lasting, and utterly gorgeous. Theyâ€™re also inexpensive; most lily bulbs run between four to six bucks apiece, and a few years down the road, that one bulb will have produced around a dozen bulblets that when separated and replanted will result in twelve additional plants. 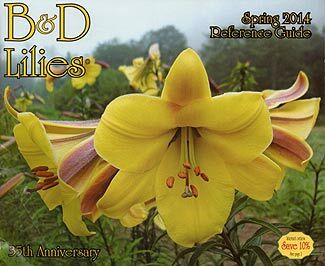 B&D is one of the truly exceptional purveyors of lilies in North America. Dianna and Bob live, sleep and breathe lilies, and the high quality of their product over decades of development reflects this. 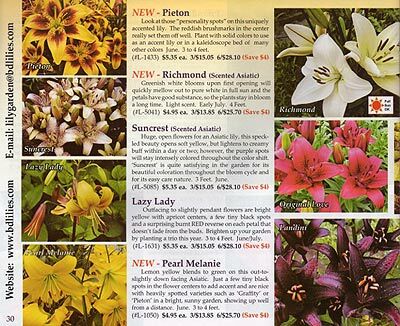 They offer for sale all categories of lilies (including Martagons), and if their website doesnâ€™t answer your question or fix your problem, an e-mail will receive personal attention.